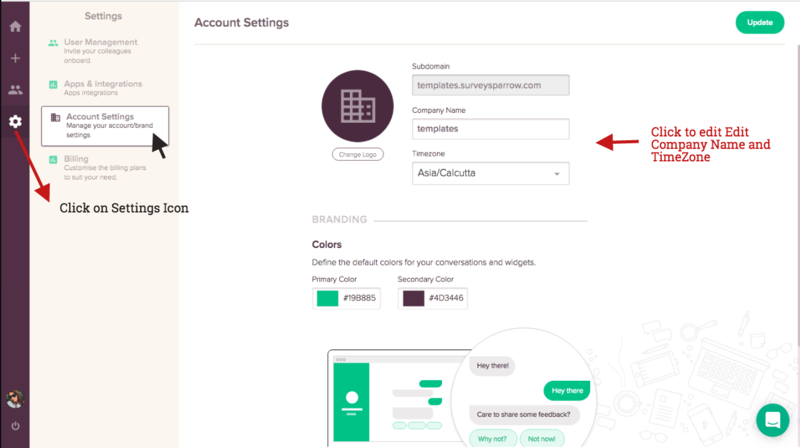 If you wish to edit your company name, logo and so on, you can do it under Settings section. Moreover, you can alter the appearance of your survey and branding as well. You will be Redirected to settings page where you will find various subsections namely User Management, Apps and Integrations, Account Settings and, Billing. 4. Here you can edit your Company Name, TimeZone and change your company logo( from starter plan and onwards). 5. 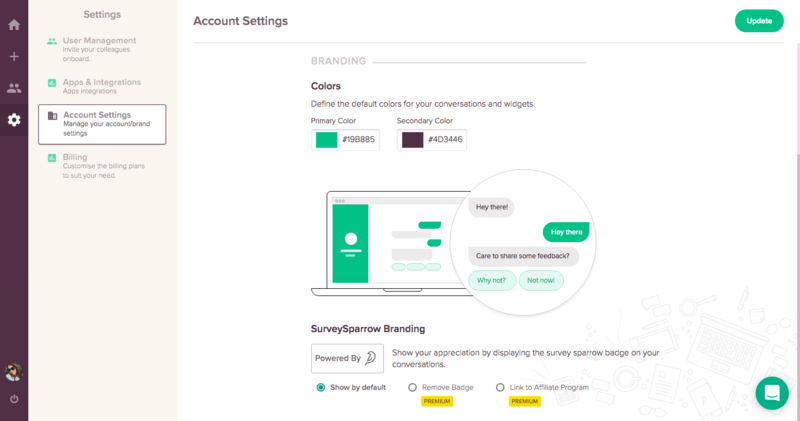 The branding section allows you to change colours of your surveys and widgets. Additionally, you can replace the SurveySparrow badge with your own or add the link to the affiliate program if you have a premium account.